Part of our beautiful Lubiana range we now have the 12 Inch Lubiana dinner plate. 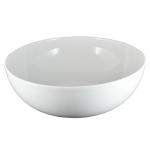 If you require..
Our 5.25 Inches rice bowl is not only perfect for serving rice but can also be used to serve sal.. If you will be serving salads, fruit or snacks at your event. 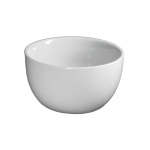 This 30cm bowl is perfect. .. 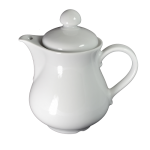 This 4 cup teapot is great for breakfast services and afternoon tea. 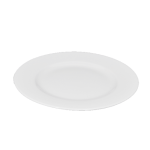 It can also be used to serve co..
Made from the finest Polish porcelain, the spotlessly white 9” plate makes the perfect starter plate.. 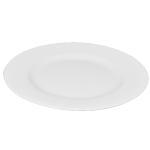 The eye catching Lubiana dinner plate has a shallow dish, giving a simple contemporary shape and com.. 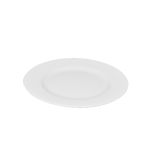 The vitrified 6” Lubiana plate has the same contemporary and modern shape as the rest of the range a..
Our 7oz Lubiana cup has the elegant timeless design of the classic cup and the graceful curve looks .. The 5.5” delicate Lubiana saucer fits the matching cup perfectly ensuring no messy spills or tripped.. 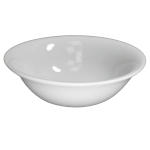 The lubiana soup plate is a wide, shallow soup bowl which looks fantastic at any table setting. This.. 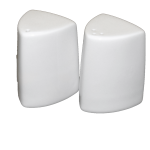 In gleaming white, the 4” butter dish or tray is simplicity itself and matches our Titan or Lubiana .. 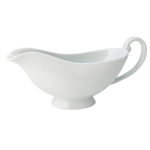 Completing the perfect table setting, our 13.5oz gravy boat with an elegant curved design will look ..
We love the contemporary triangular design of our salt and pepper cellars and they really set off a ..
Modern or retro, you decide, the 9oz classic sugar bowl complements either the Lubiana or Titan rang.. 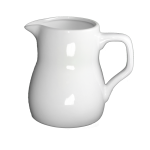 In a simple, well crafted design, the 8oz jug sports a stylishly modern yet comfortable handle and a..
Where can I hire perfectly white crockery in London? Hire Catering specialise in just supplying catering and furniture hire for events across London and the South East so we understand how important each occasion is, regardless if it is a small charity event in a church hall, a corporate award banquet or a modern and stylish wedding with 500 guests. 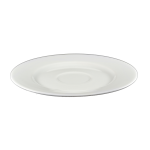 Our Lubiana range of spotlessly white crockery is a great all round choice, no matter what type of event you are planning. Can you offer more than just plates, I need a full set of crockery? The Lubiana range of quality porcelain is available as a full set for formal dining and the crockery looks fabulous when laid out against a crisp white table cloth, with sparkling glassware and cutlery. 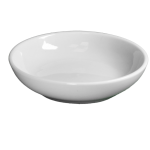 The set includes plates of various sizes (click on each item for the dimensions), versatile bowls and a range of contemporary and attractive condiment pieces which complete the set. I need a quality range for my wedding, can you ensure the standard? Weddings are one of life’s most important occasions and as a family company, Hire Catering understand just what it means to you. 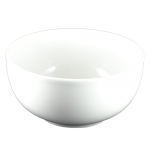 The Lubiana range is made with the finest Polish porcelain, designed in Italy using revolutionary technology giving a quality perfectly white lustrous finish in a contemporary and appealing design. Can I use the Lubiana plates immediately or do I need to wash them? Hiring crockery is a very cost effective and time saving way to create the impression you want at any occasion as each piece will arrive to you having been professionally cleaned using high temperature hospitality approved equipment, then hand inspected for quality excellence. This means that any item of crockery, glassware and cutlery from Hire Catering can be confidently used immediately. 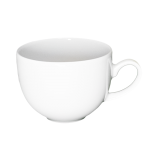 Do you supply hotels and restaurants with crockery? 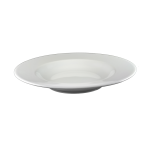 Our Lubiana crockery is used by the hospitality trade for large bookings and peak seasonal demands by the hotels, pubs and restaurants, whilst caterers use Hire Catering crockery for trade shows, privately catered parties, functions and special occasion. As we stock large numbers and can guarantee quality we are the number one choice in London for the hospitality industry. Can you deliver directly to my marquee? Another benefit of hiring our Lubiana tableware for your special occasion is that it can be delivered to any address or event venue in London, the Home Counties and throughout the South East. Hire Catering have established a great working relationship with all the major venues ensuring a smooth, efficient delivery. Our Logistics team deliver 7 days a week, evenings, weekends and Bank Holidays so not matter where or when your occasion is, Hire Catering can deliver. Ok, I’m ready to order... How do I do this? Once you’ve decided that the Lubiana crockery is the right choice for your event, simply call us on 0203 141 7740 and we will do the rest. Don’t worry if your plans change or your numbers increase as you can add to your order up to the day of delivery. Not quite sure of what you need? Email us at info@hirecatering.co.uk and we will send you a quote within 24 hours.